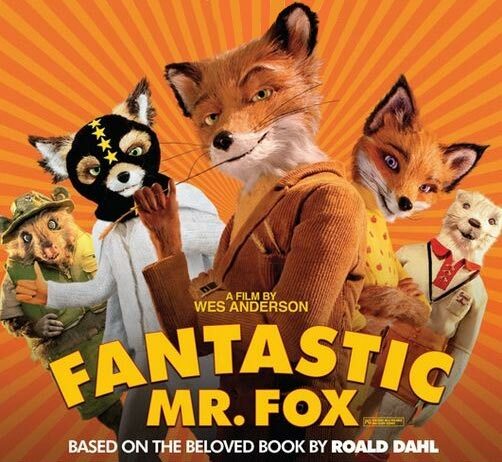 This movie is based on the the novel, Fantastic Mr. Fox by Roald Dahl. I like this book alot and recommend reading the book first. Boggis, Bunce and Bean are the meanest farmers ever. Fantastic Mr. Fox has a plan but is it enough to outsmart the evil Bunce, the wicked Bean, and the mad Boggis?????? My favorite character is Fantastic Mr. Fox because he is fantastic. He is not incredible, he is not perfect but he is fantastic. He makes fantastic plans and saves everyone. My favorite part is when Fantastic Mr. Fox, Kylie, and Ash set out to rescue Kristofferson while dodging an ambush led by the farmers. The Boggis, Bunce and Bean song is hilarious! Listen to it here. Wes Anderson is very good at directing the great, incredible, perfect perfection, excellent, stupendous and of course Fantastic Mr. Fox. Good for ages 8+ because it may be hard for some kids to understand and there is violence. Read A.O. Scott’s review in the New York Times: Don’t Count Your Chickens. He loved it! MPAA Rating: PG for action, smoking and slang humor. The song is hilarious and during the movie you gave an even more hilarious rendition of it. I like that you mentioned the book in your review. I love the scene in the movie when we first meet Mr. Fox and he seems from the way he dresses and acts like a gentleman and then he sits down and eats like a wild animal – which is what he is on the inside. One of the best movies I’ve ever seen!